Morning... I'm back again with a card I actually made a few weeks ago that I found on the camera after I took all the photos off yesterday.... I think I spent most of last night editing pictures of cards I have made over the last 3 months but just not had time to do anything with! 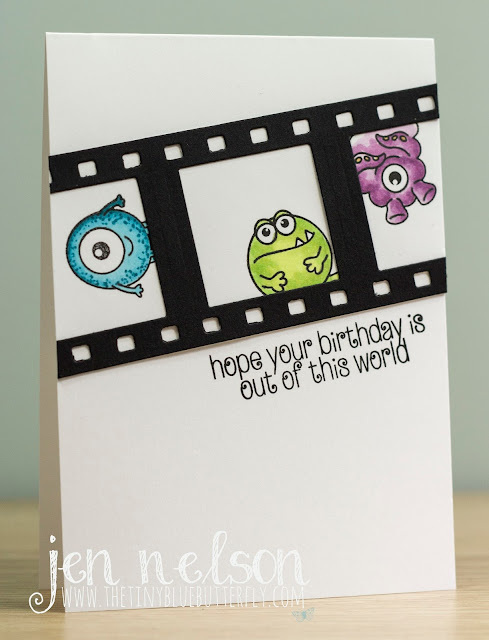 This card was for Craft Stash using one of the Fuzzy Lemon dies. Teamed up with some CBS Aliens I love it!! I am glad to say I have the rest of the year at home after a change in the project and I am really glad that I will have some normality back.. Travelling the world has it's perks but it is also exhausting! 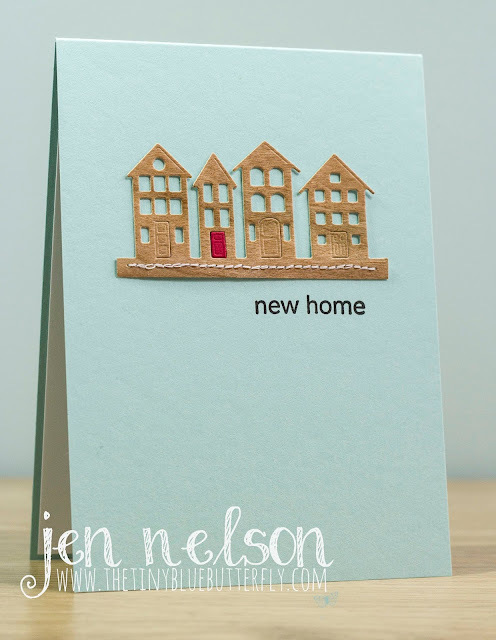 Today I plan on spending some much needed time in the studio crafting and I thought I would start with a really quick Less Is More card. This week the theme is Thread..... Mine added in the form of some stitching! I might manage to come up with something more inventive by the end of the day, but at the moment I am easing my way back into it! Hope you all have a fabulous Saturday and I hope to be back more regularly now I'm at home (as well as getting back to the gym lol)!